The Gates at Hilton is a secure residential village consisting of 81 homes set on 44,3ha along the western boundary of the Hilton College Estate, between Hilton College Road and the Gwens Stream. 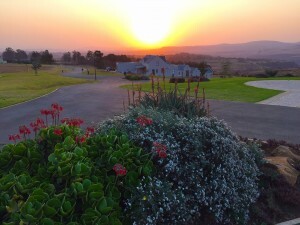 The property offers a generous layout of sites set amongst expansive commonage areas with stunning views over the uMngeni valley towards Howick and the Drakensberg. The Gates at Hilton offers residents all the advantages of gracious country living in a safe, rural setting, adjacent to Hilton College, yet close to the amenities of Hilton village, Pietermaritzburg and the Midlands. Set within the current borders of the Hilton College Estate, carefully integrated into the natural surroundings and maintained to the highest standards, it is a tranquil haven, a place of peace and relaxation, where residents can relish the lifestyle offered in this remarkable environment. The ambiance and architecture of the Hilton College campus have provided the inspiration for the layout and theme of The Gates at Hilton. The style is to be “Natal Dutch” – a contemporary blend of Cape Dutch principles and Natal Farmhouse, with earthy coloured walls and non-reflective dark roofs. The development has been undertaken by Gwens Stream Estates (Pty) Ltd, a wholly-owned subsidiary of the Hilton College Endowment Foundation. In terms of agreements with The Hiltonian Society, Gwens Stream Estates purchased the property and engaged in the development and sale of sites in The Gates at Hilton. Property owners are responsible for building their own homes in line with carefully specified architectural guidelines. The rationale behind the establishment of Gwens Stream Estates (Pty) Ltd and The Gates at Hilton is to increase Hilton College’s endowment by converting some of the value embedded in the Estate into more valuable residential property. The funds realized will cover the cost of the relocation of Estate residents to freehold homes in Howick West, and assist materially in the provision of bursaries to future Hilton pupils. The Hilton College Endowment Foundation will be the ultimate beneficiary of income generated from The Gates at Hilton. The Endowment Foundation was established in 1959, and exists to support Hilton College in a variety of ways, but particularly in providing funding for bursaries for deserving boys. This is a worthy cause: an opportunity to own a piece of this very special place and to help others improve their lives.